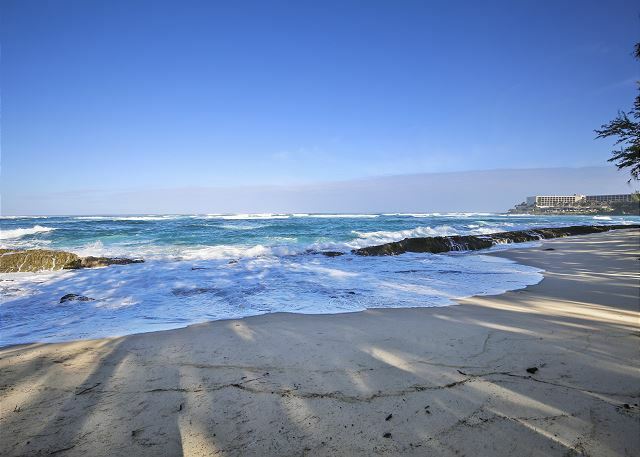 Welcome to Kuilima Estates, the condo property located on the grounds of world-renowned Turtle Bay. 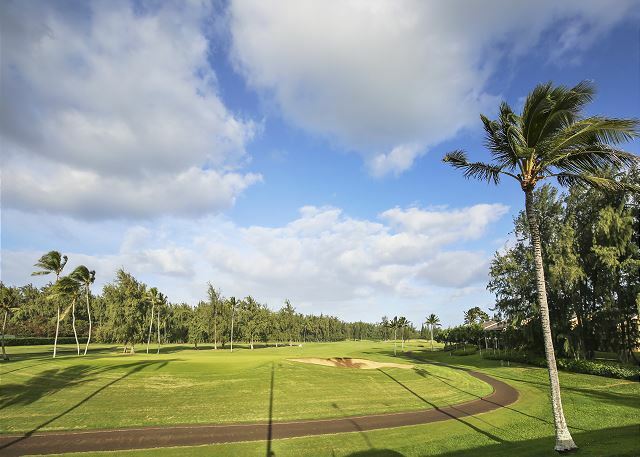 The condos are surrounded by two beautifully manicured golf courses, and are the only condos on the North Shore. This is a great place to relax, rewind, and restore, and a world away form the hustle and bustle of the city. The condo property is short walk to hotel and to a lovely, sheltered, coved beach, where you can swim, snorkel, and surf. We have our pools, with lounge chairs, an outdoor shower, and charcoal BBQ grills. Bring your own equipment and play tennis on our courts at no charge. Experience the comforts of home as you experience aloha! The condition of this condo was amazing! I felt like I was staying in someone's home. Everything was clean, up to date and beautifully decorated. I visited some other condos in the area and this one was definitely the best of all of them. This is why it got 5 stars. Beautiful condo,nicely furnished.Everything you need is here.Comfortable king bed and tranquil setting.Walking distance to restaurants,beach. Good food at Lei Leis. 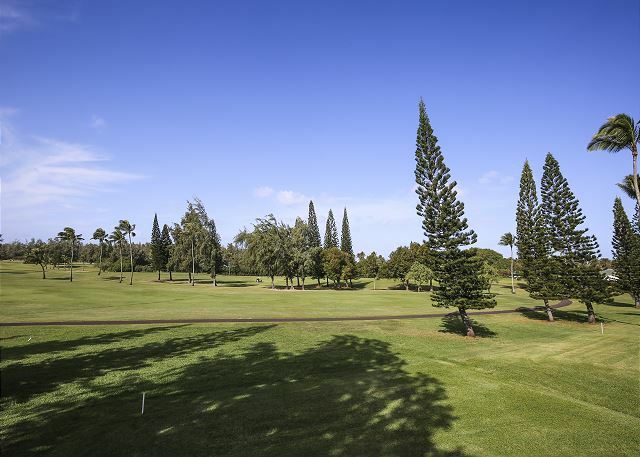 Lovely condo, tastefully decorated, well situated on the first fairway on the west side of Turtle Bay grounds. The condo was clean, quiet and very comfortable. I loved my two weeks there and will try to rent this unit the next time that I go to TB. I've rented several units over the years and prefer this one. Though it has two baths, it's really only suitable for two, unless a small rollaway could be brought in for a child/guest. Everything I needed was there to use. Office was very pleasant and helpful. I love TB! we just finished a two week stay in this condo. it was clean and everything worked well, including the internet connection. it was in a great, quiet location on the golf course with a pool and parking steps away. the kitchen was wonderful and remodeled and was stocked with quality pans and knives. we loved having two bathrooms. checking in and out were simple processes. The unit was very clean and had an excellent location on the fairway of Hole 1 of the Fazio golf course. We needed help getting through the gate the first time but no problem after that. The unit was comfortable and had enough supplies for our needs. The ice maker in the frig was slow. The power outage on our last day negated the late check out fee we paid. However, this was beyond management’s control—just bad timing. Overall, it was a very pleasant stay and we would come again. We have been staying in the condos at Turtle Bay for 20 years, and all the units have been great. Blue Hawaii (38W) has been our favorite when it’s just the two of us. Close to the pool, close to the clubhouse (we play golf every day). 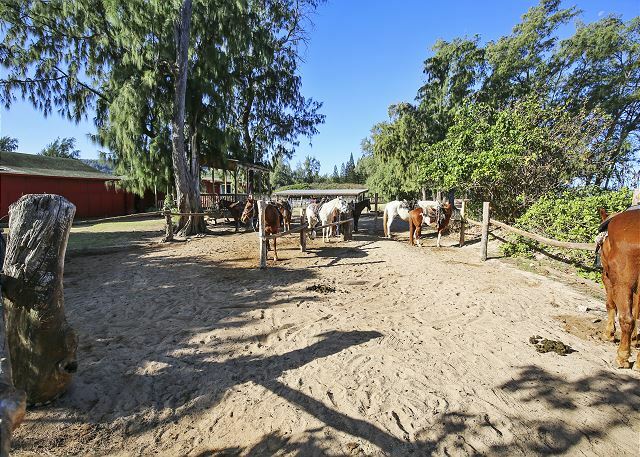 Unit is always clean and well equipped, the 2 bathrooms are a big plus. Everything worked, and the keyless entrie for unit and pool a major new plus (better than carrying sets of keys). We will always try to rent this unit, if it’s available. Delightful condo far enough away from the main roads for quiet rest. Light and airy decor, well stocked kitchen. Super firm & comfortable king bed! Easy access to golf and dining. Nice, small pool right outside the front door. The only down side was the couch was a bit small, stiff, and scratchy... but a towel helped the latter issue. Oh and the fan in the living room squeaked miserably on high and medium speeds so we ran it on low for a slight breeze but minimal noise. Thank goodness for the AC in the bedroom... again, although a little noisy it worked well! Great vacation location for golfers. Access to ocean not quite as convenient for condo renters but doable. A map to beach trails would be helpful, finally found one online but not as clear as it could be. Anyway, we had a great trip and appreciate the efforts of owner and management in providing such a nice condo for a good vacation. 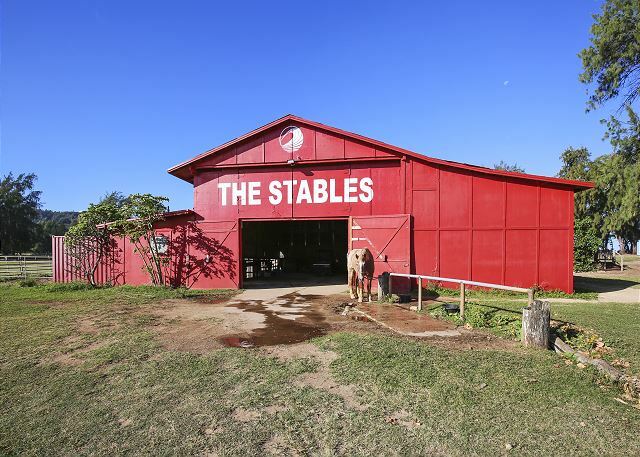 Clean, spacious & fab location! Da best!!! Four others of our family rented different condos in the Kuilima Estates and ours, the Blue Hawaii @ 38 West was the nicest! If you're looking to choose a TBay condo online, looking at all the pics and reviews, try to find a map of the Kuilima Estates condos if location matters to you. Almost all the condos are well-located, but were happily surprised that this one was close to things. 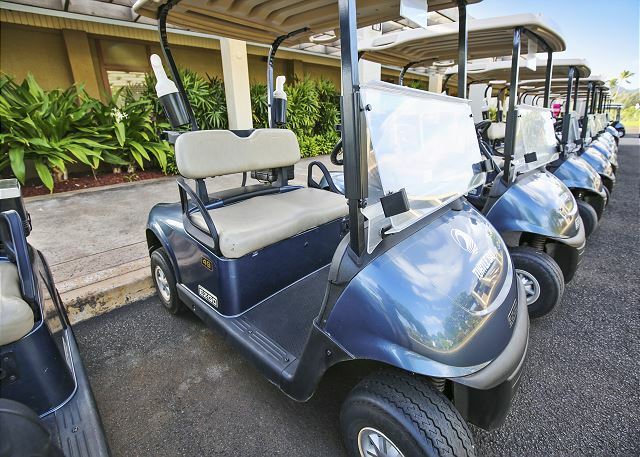 Clean, spacious and great location right on the golf course fairway and with 3 min. walking distance to Lei Lei's cafe by the clubhouse. It has no ocean views, for that you have to stay at the resort hotel where nearly every hotel room has a gorgeous view. The resort is a little farther, so we drove and self-parked as to walk in the July heat was a little wilting. It is a 2nd level condo, so there is no direct outside lanai as on the floor level condos, but our covered, totally screened lanai was even better! You can sleep with the door wide open, and if you leave the front screen door locked while inside, you will get nice cross breeze ventilation with the ceiling fan going. There is AC only in the master bedroom, but it is enough; we were there in the heat of July and it was tolerable. You won't even need the AC at nite. Sleeping with the ceiling fan low is perfect. The condo has two bathrooms. The master bath is smaller, the other has a bigger shower which we all used. All are clean. The pool, tennis courts and parking are all right outside the front door. The check in/out, once you read the instructions, are easy and quick. The condo is cleancleanclean, has W/D and a well-equipped kitchen. The only things maybe the condo could have are a stock of extra trash bags and baggies for use. The TV was a little hard to use, Netflix and movie channels, etc. Great rental. Great location. Very clean & well equipped. The screened porch was a plus!